You have no idea how excited I am! 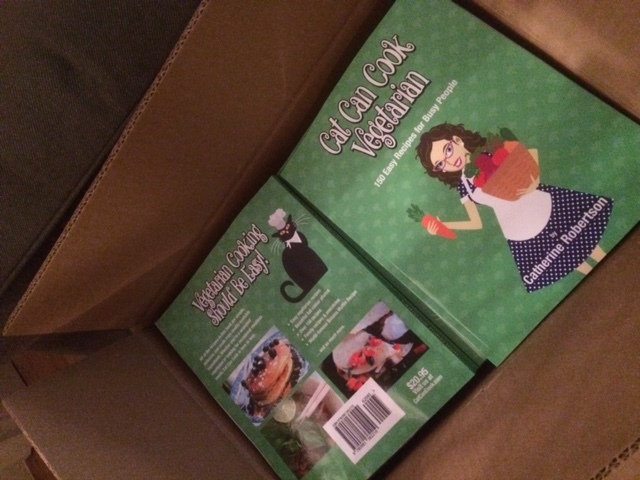 My second cookbook (the new and improved Cat Can Cook Vegetarian) is ready. This one features 150 recipes, 174 pages, full colour with photos … it’s amazing! I have 500 copies sitting boxed in my garage, and I will be working on getting a link on here for purchasing the book in the next few days. 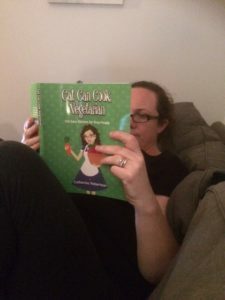 I am not sure exactly what the shipping rate will be just yet, but this book is a little thicker and bigger than my first, and my guess is that domestic shipping will be in the $10 range. Here I am this evening, taking my first real look at my latest labour of love. I hope you will enjoy it. This is awesome! I am vegetarian and won your original cookbook years ago and have just modified recipes where I can. 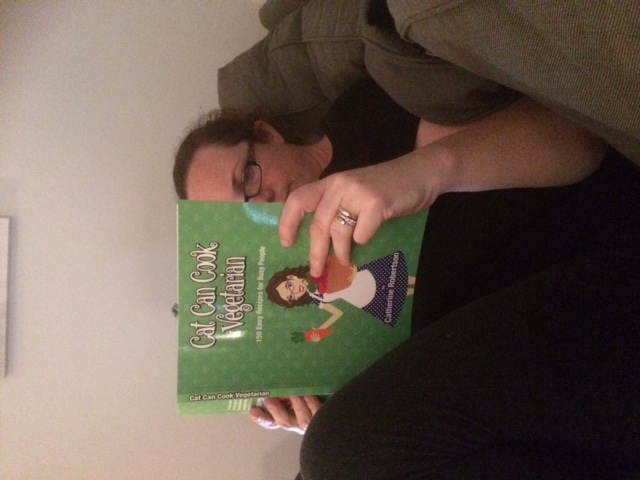 Love that you’ve created a whole vegetarian book! From my Awesome Banana Muffin Recipe to Casseroles, Cakes, Salads and everything in between, all of my recipes are guaranteed simple and tasty! So stay a while, take a peek at my cookbook and search for recipes! Browse around, and let me know what you think of my site! Book #2 is REALLY HAPPENING! © Cat Can Cook. Say something clever here. Or not. You decide.